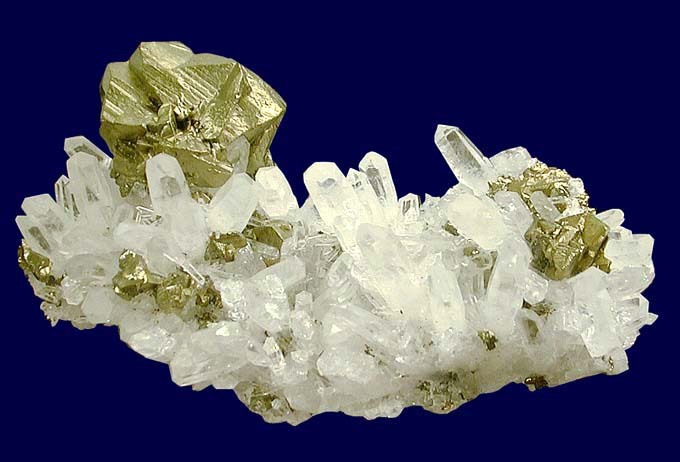 Comments: Well-formed crystals of chalcopyrite and quartz. Location: Boldut mine, 61 level (350 meters deep), Cavnic, Maramures, Rumania. Scale: 5.5 x 3.5 cm.